Hello, Everyone. Just wanted to update you on our service hours for Labor Day weekend. I apologize for the late post but I was having some difficulty in making updates to the site. Thankfully, our side administrator was able to resolve the issues. 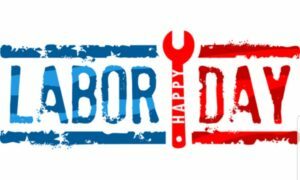 We are closed Saturday (9/1) to enjoy time with family. We open back up Sunday for breakfast at 9am. Also open Monday at 11am. Have a safe weekend.